This is a complementary program to the American Academy of Pediatrics Neonatal Resuscitation Program (NRP). S.T.A.B.L.E. serves as a concise educational tool to organize the myriad of details necessary to stabilize and care for sick infants. S.T.A.B.L.E. stands for Sugar, Temperature, Airway, Blood Pressure, Lab-work, and Emotional support-all necessary components of stabilizing ill infants. The S.T.A.B.L.E. 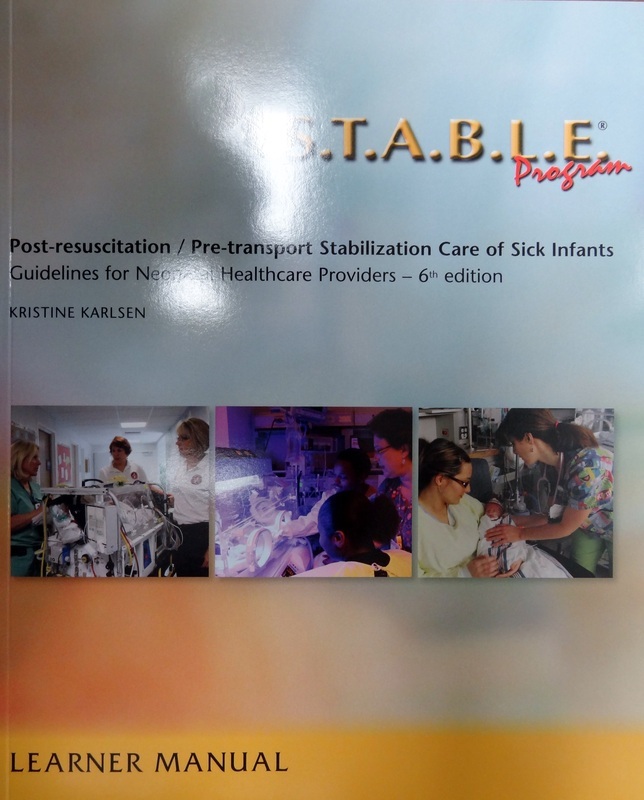 Learner Manual by Kristine Karlsen, 6th Edition textbook will be utilized during this course. The cost of the textbook and any materials is included in the course fee listed as shown. If you bring the current textbook with you, to the first day of class, you will receive a textbook credit.